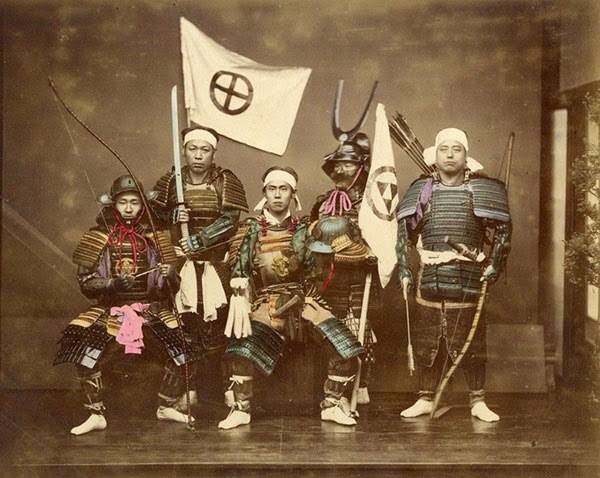 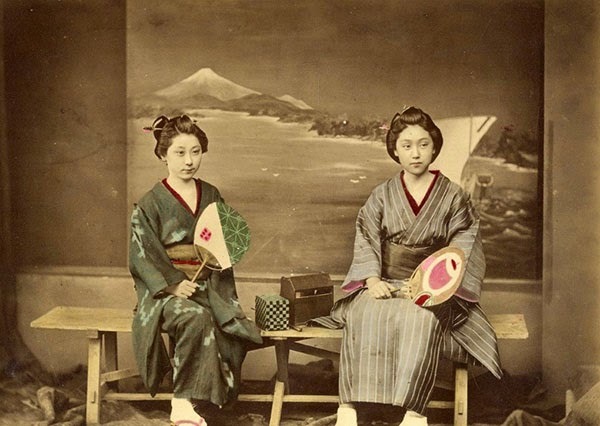 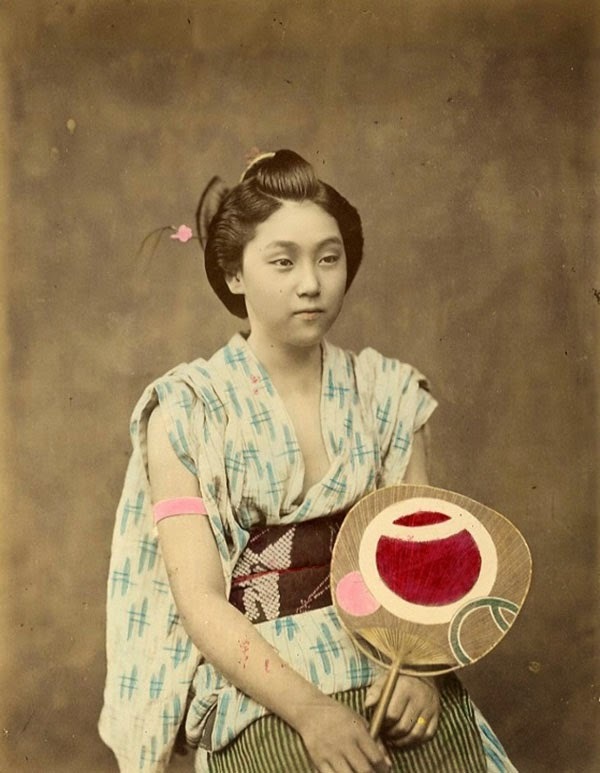 Some of the earliest color photographs of Edo-era Japan are currently on view at the London Photograph Fair. 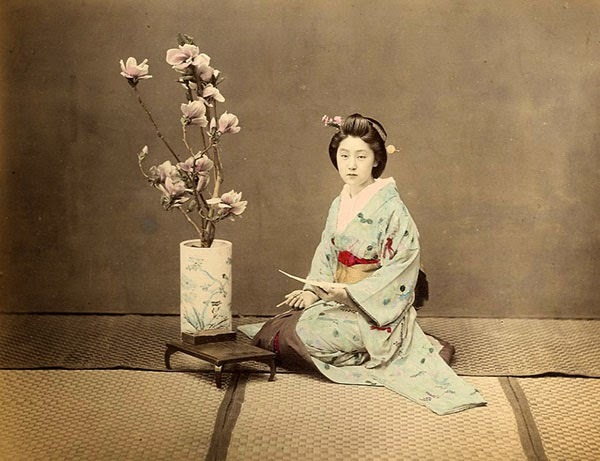 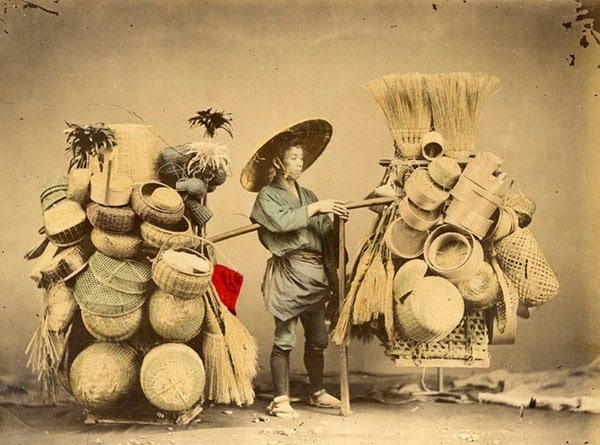 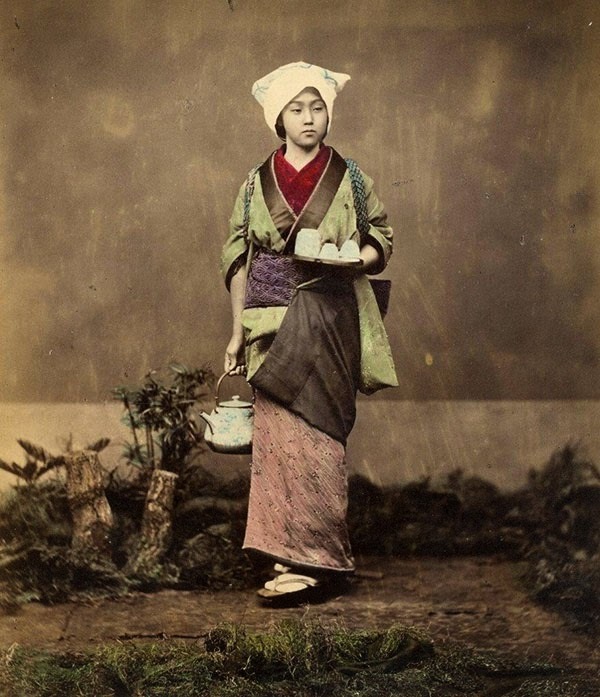 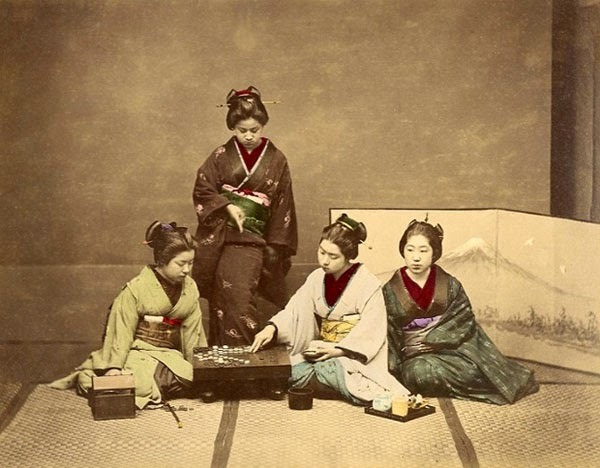 Owned by Galerie Verdeau in Paris, the photos of courtesans, samurais, geishas, and scenes documenting everyday life were taken by Felice Beato who was living in Yokohama at the time. 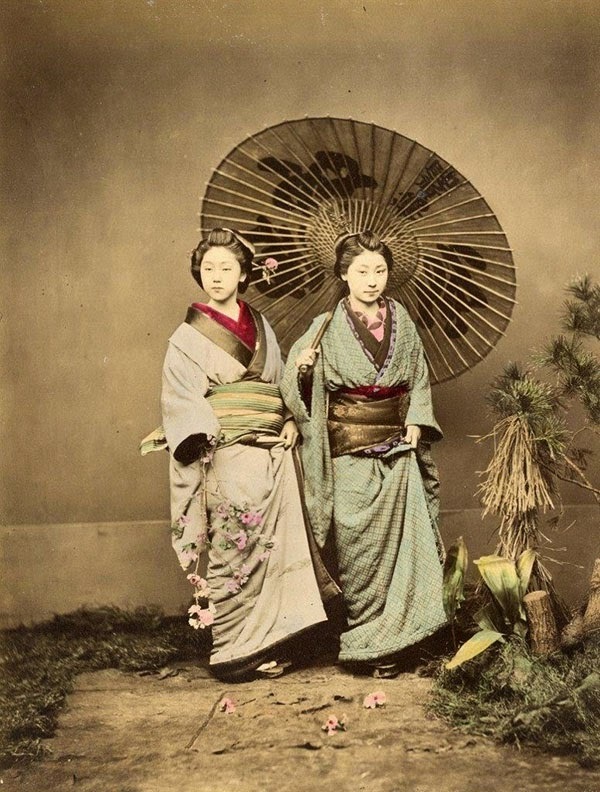 The pictures which date from 1863–1877 are all hand-colored, a time consuming process during that period. 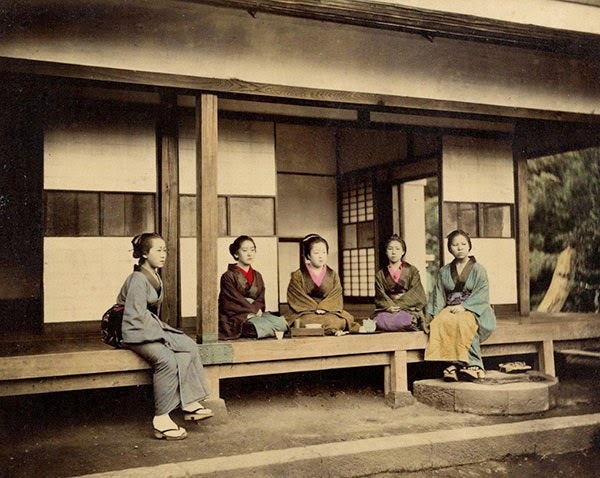 Beato was widely considered to be one of the world's first photojournalists and was given a large amount of freedom by the ruling Shogunate to take these photos as he toured the country.